Do you have an aging loved one who is having a harder time making frequent trips to the market for fresh ingredients? Maybe they just don’t have the strength to stand for an extended amount of time in the kitchen. Our healthy food delivery in El Paso will ship fresh made food to your loved one weekly. They simply need to put it in the microwave. 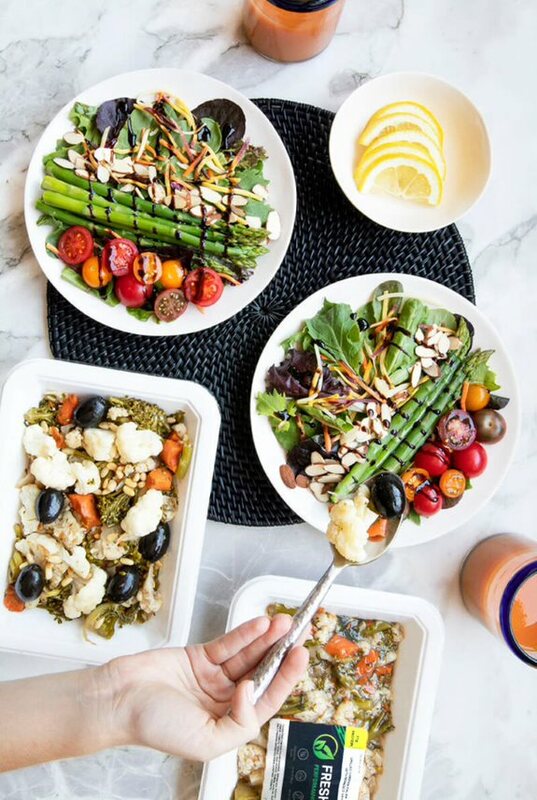 Whether you live in another state or you just have a crazy schedule, you simply can’t be there all the time, but you can arrange for them to receive healthy prepared meal delivery in El Paso through Fresh n’ Lean. All of our dishes are plant-based and free of MSG, GMOs, gluten, soy, and preservatives. They are nutrient-dense and delicious, and require no extra preparation. Want an easier way to keep up with your healthy eating plan? Fresh n’ Lean has your solution. Our healthy meal prep delivery service in El Paso is customized to meet your own unique nutrition preferences, offering you the energy levels you want consistently. Whether your goal is to shed weight, improve your health, or build lean muscle, after you fuel your body right, achieving your goal becomes a lot easier. If you lead a fast paced lifestyle our healthy food delivery services in El Paso will take away meal preparation stress. Simply take your prepared meals with you anywhere you go and you’ll have a nutrition meal ready within seconds. Enjoy delicious, nutritious, healthy and freshly prepared meals delivered to your home anywhere in El Paso. If you’re being affected by a health issue such as high blood pressure, eating right has never been more essential and with Fresh n’ Lean healthy meal delivery service in El Paso, Texas you’ll never go wrong. Whenever you put good quality vitamins and minerals into your body, you’ll work to reduce your likelihood of disease and keep yourself feeling full of energy and in optimal health. At Fresh n’ Lean, we take great pride in preparing meals that cater to just about any person. Taking care of your blood sugar levels are crucial, not only for losing weight but also to maintain your level of energy stable. With each of our meals, you’ll have energy for hours. All of our meals are cooked to perfection, full of flavorful ingredients that give you the ideal amount of carbs, healthy proteins, and fats.